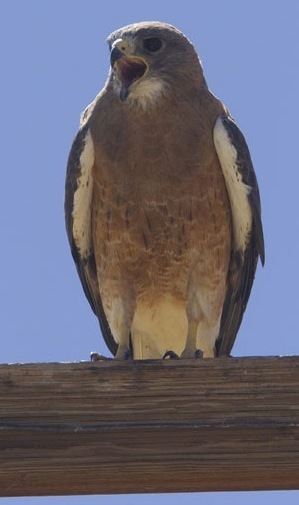 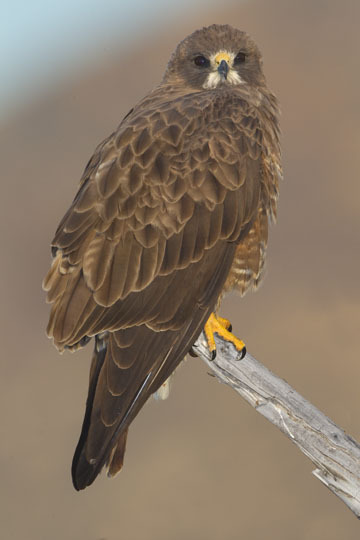 Swainson's hawks are graceful, long-winged buteos that summer in western North America and winter is South America. 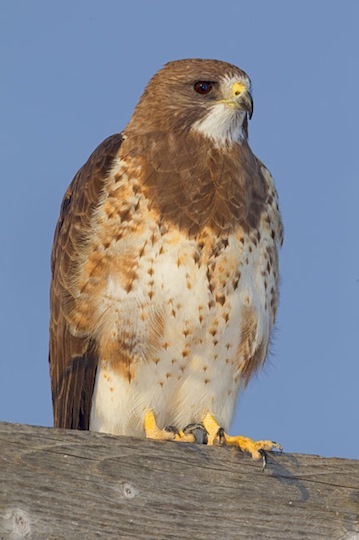 In some parts of their range their populations have suffered from agriculture and from pesticides (a particular problem in their winter habitat), and in California they are rare breeders. 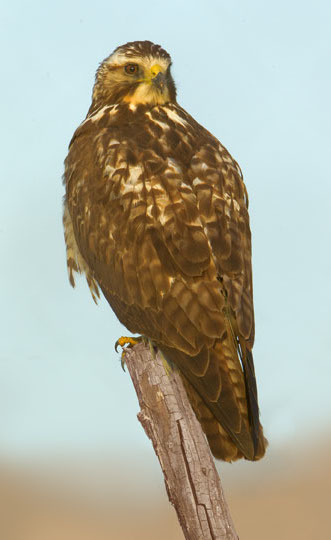 These show the typical light to dark phases, with a banded pale tail, brown breast band (all brown underneath in dark individuals) and dark head offsetting the white throat, and,in flight, 'two-toned' wings with a dihedral and narrow pointed tips (notably more 'pointy' than the more widely-distributed red-tailed hawk). 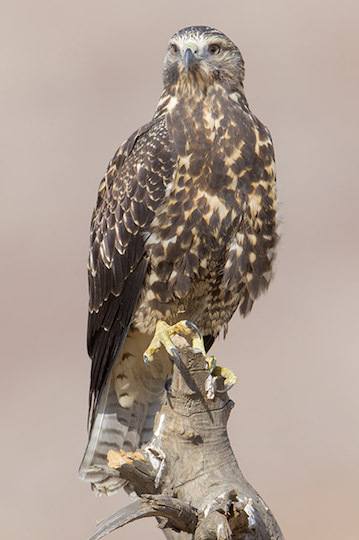 Some mostly dark-morph birds (bottom, and on ground) were photographed near the San Jacinto Wildlife Area in Riverside County, California. 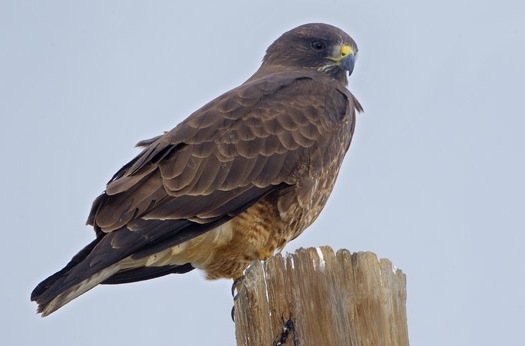 The other photos were taking in the Owens Valley in eastern California, in northeastern Colorado, and in southern Idaho. 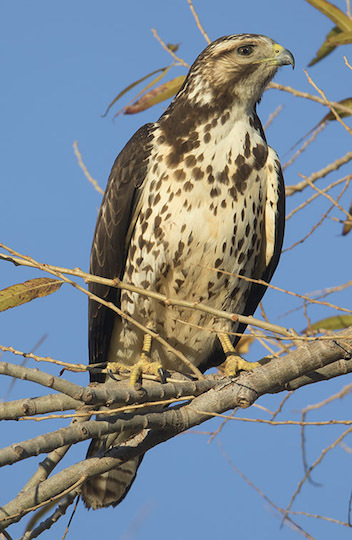 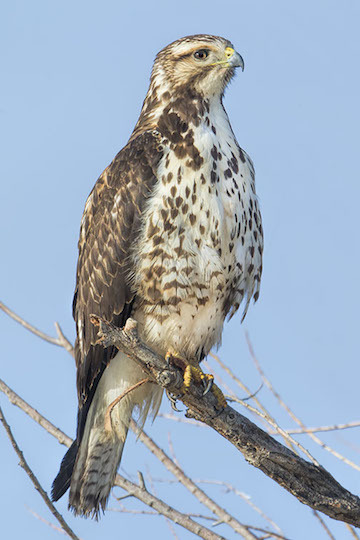 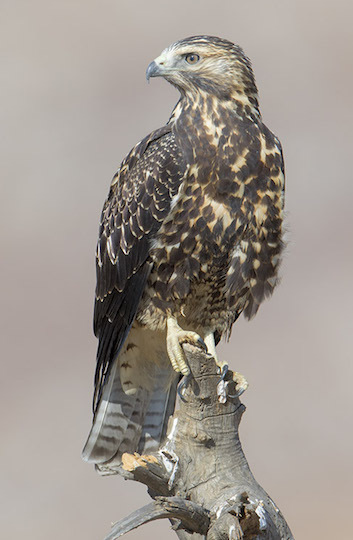 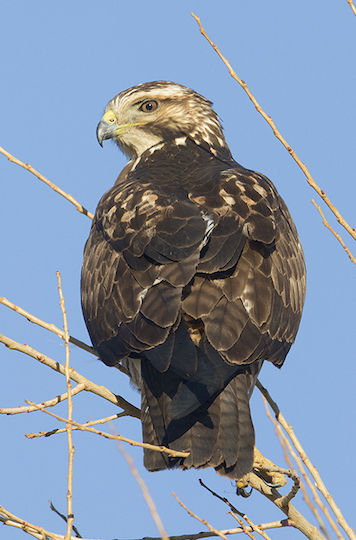 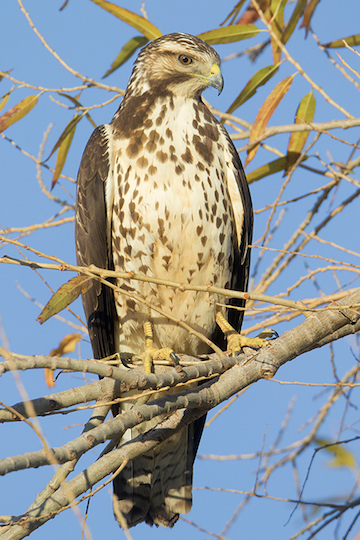 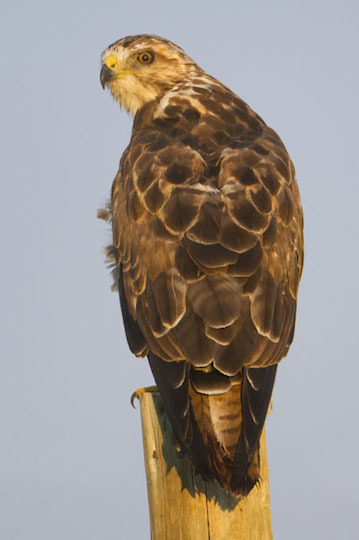 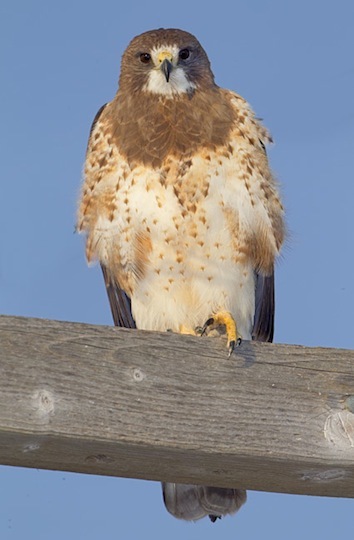 The hawks with heavily spotted undersides and streaked heads are juveniles. 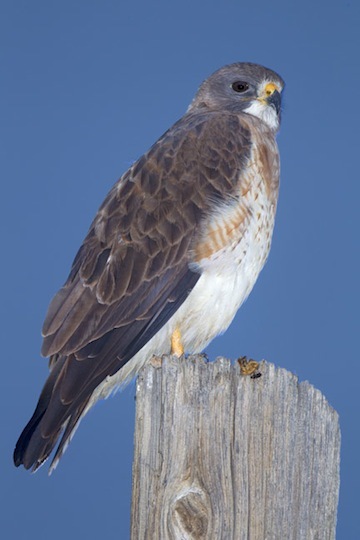 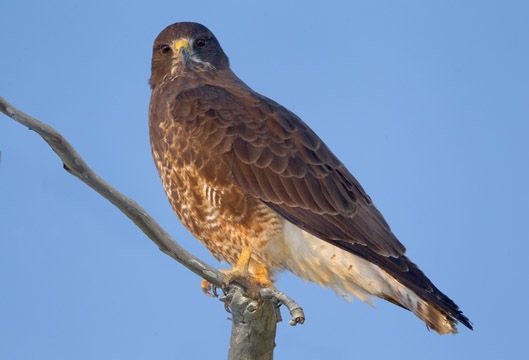 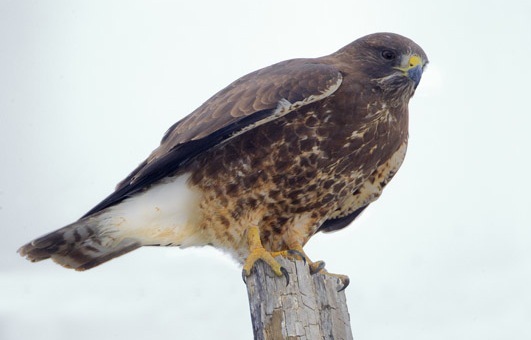 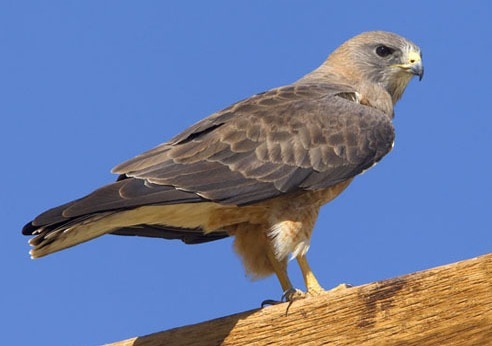 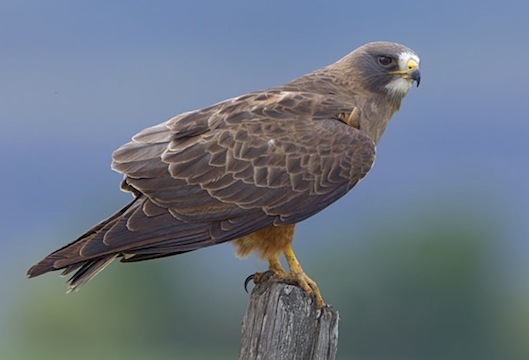 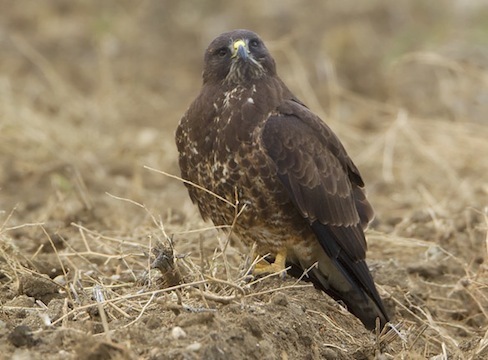 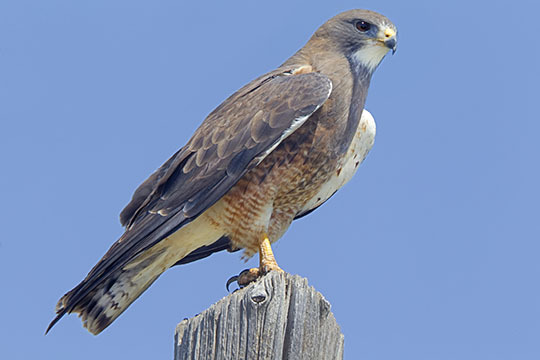 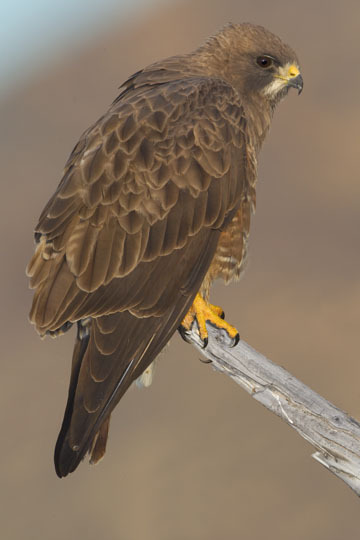 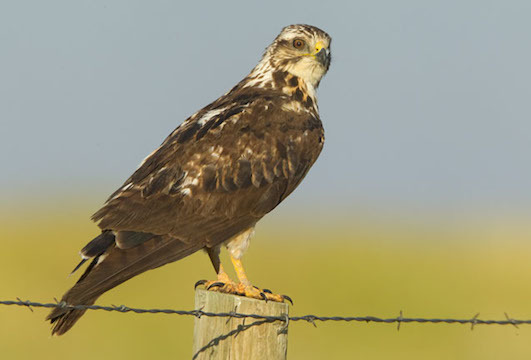 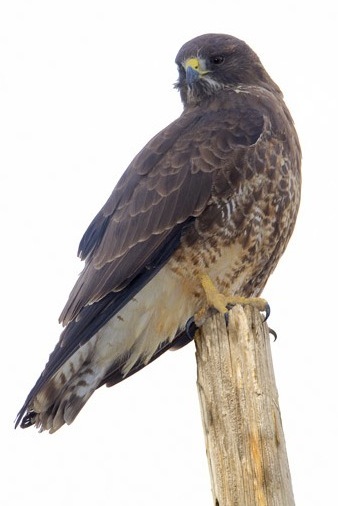 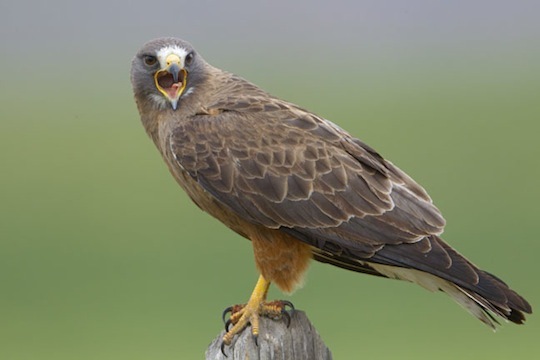 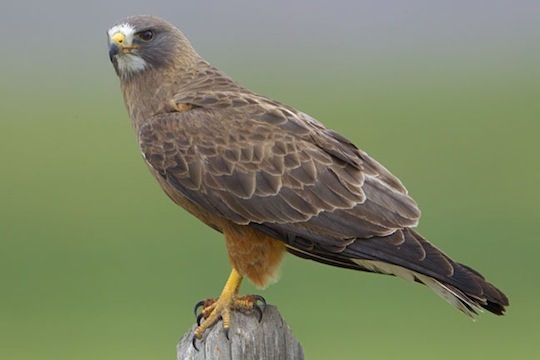 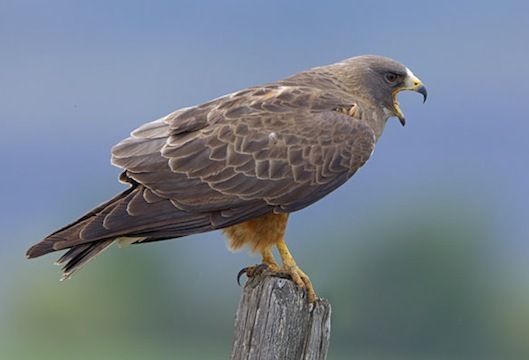 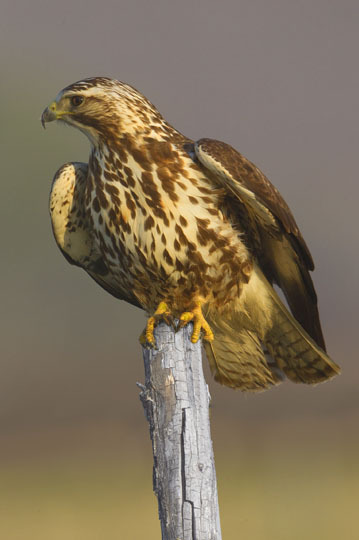 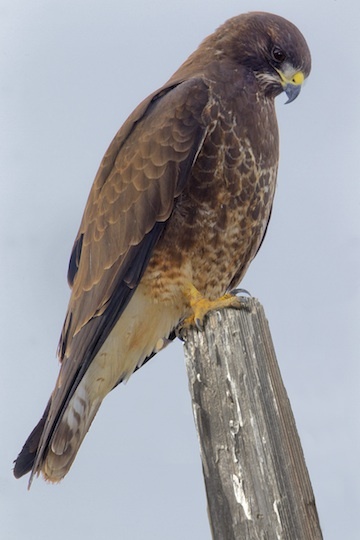 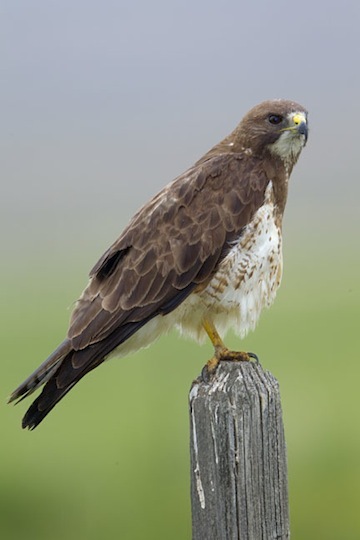 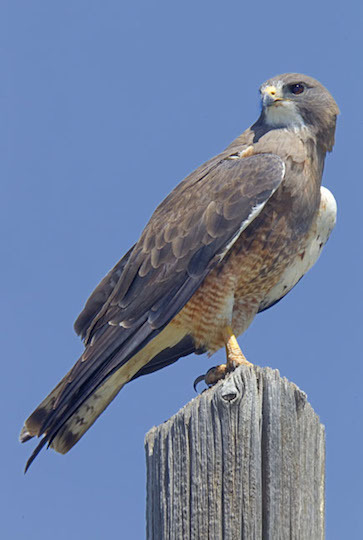 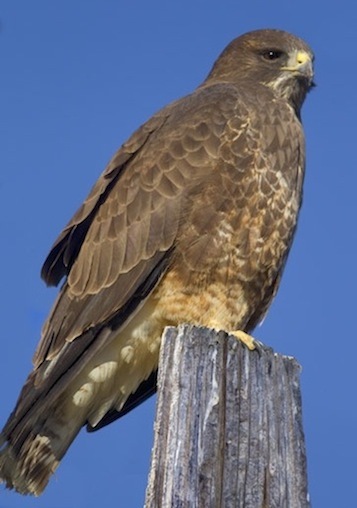 This page has images of flying Swainson's hawks.